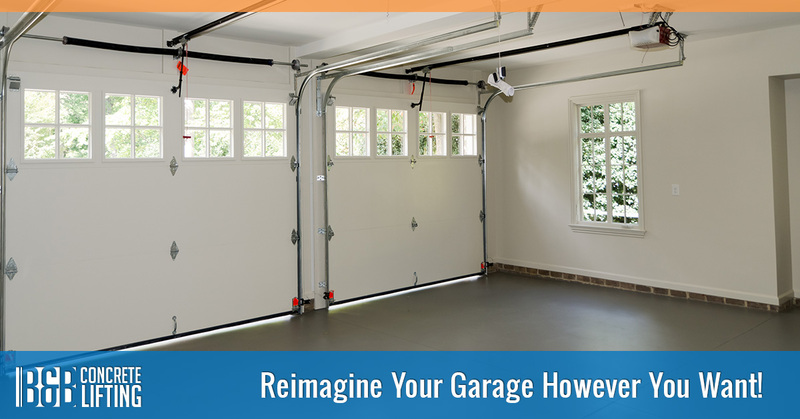 Reimagine Your Garage However You Want! Most people use their garage for keeping their cars safe from the elements, but if you have other ideas for the space, such as a home gym or a workshop, a level floor is a must-have. If the floor is cracked or uneven, it can make for a less-than-ideal workout area or workspace. At B&B Concrete Lifting, we can repair your garage floor and make it look like new. If you want to re-imagine how you use your garage, contact us today. 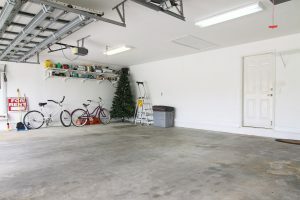 It might be difficult to decide what you want to do with your garage, but the most important aspect, before you begin placing equipment or installing work benches, is to make the space usable. You might want to put down rubber mats or flooring so that you can work on your classic car or motorcycle, but with a cracked floor, rolling out mats and working on your back can be nearly impossible. Our crew will come to your home, assess the damage or uneven slope of your garage floor, and recommend the best method for leveling or repairing the concrete. Once we’re done, it will look like the floor was just poured! If you have ideas for how you want to use your garage, please contact us right away. We can get to work right away on lifting and repairing your concrete floor, making the space more functional and usable for whatever you have in mind. We’re proud to serve St. Charles, Wheaton, Schaumburg, and the entire suburban Chicago area!